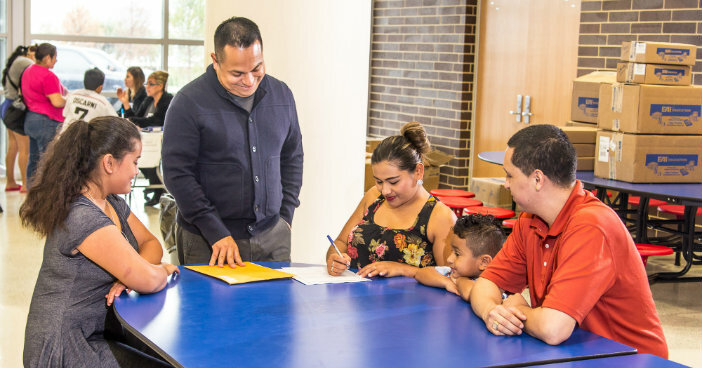 When Israel Rivera, the principal at the new Joe May Elementary School, was 29 years old he embarked on a journey that would completely transform his life. He adopted his brother’s four sons and decided to change careers so he could spend more time with them. Rivera left his career in advertising at The Richards Group to coordinate his schedule with the boys. He became a teacher at James Bowie and Mountain Auburn elementary schools and later principal at Harrell Budd Elementary before taking on the role as principal at Joe May ES. The final school built as part of the $1.35 billion 2008 Bond Program, Joe May ES serves pre-K through fifth grade and will house up to 821 students. The school has 39 classrooms and features two drop-off lanes and three playgrounds. The facility is environmentally sustainable with geothermal cooling/heating systems, energy efficient lighting, low flow fixtures and light monitors in the library and cafeteria to allow an infusion of natural light. The school’s namesake was a U.S. military veteran, civil rights advocate, voting rights champion and education proponent. Joe May was also a Dallas ISD Board Trustee in 2002. 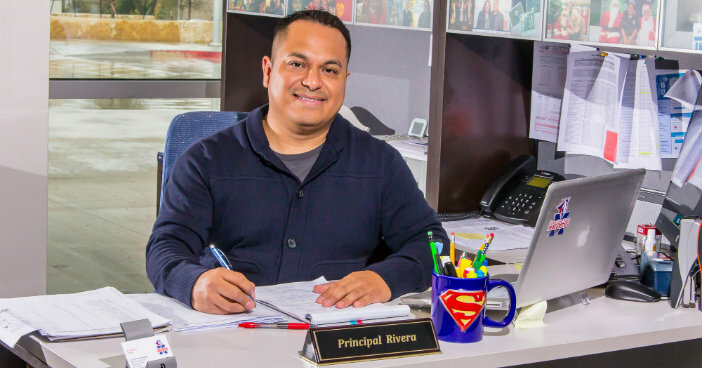 Rivera is a first generation immigrant and a proud product of Dallas ISD, who graduated from Skyline High School in 1994. He attended the University of Texas in Austin and the University of North Texas where he obtained his bachelor’s degree in Communications and Advertising. During his teaching career, he went back to school to obtain his masters degree in Educational Administration. He’s excited to take on the role as principal at Joe May ES and build his team from the ground up in a brand new school. 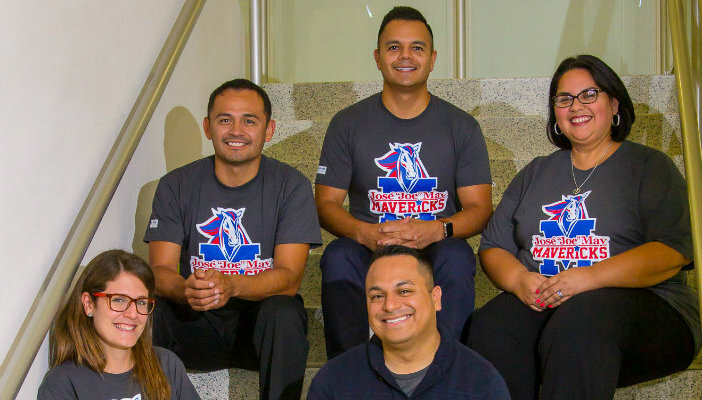 Rivera, his new team and students will host the family of the late Joe May and members of the community at a dedication ceremony for the new school on September 29.